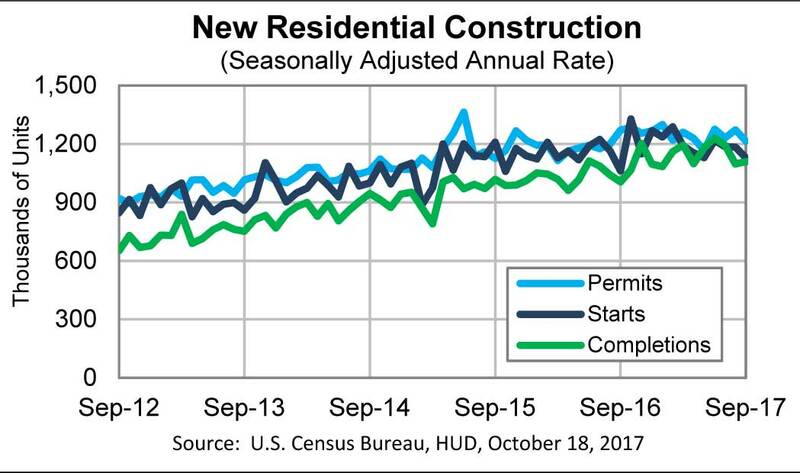 September housing starts, the government’s measure of new residential construction activity, showed an overall decline to a seasonally adjusted annual rate of 1,127,000 units. This rate is down 4.7% from the revised August rate of 1,183,000 units. This is the third monthly decline in a row indicating a softening in the construction of new homes – and the lowest level of construction since September 2016. While this 90-day downward trend is troubling, the September rate is still 6.1% above the 1,062,000 reading for September 2016. This overall reading on housing starts includes both single-family and multi-family dwellings. When looking specifically at single-family housing starts, we see a similar result with a reading of 829,000 or 4.6% below the August figure of 869,000. However, like the overall number, this reading was fully 5.9% over the 783,000 reading in September 2016. Many experts consider the single-family reading a more reliable indicator for custom integration than the overall starts figure. Many analysts suspect that recent storms around the country, including hurricanes Harvey and Irma were a significant factor interrupting construction activity. However, Reuters notes that this result clearly impacted the overall economy, as housing is a prime contributor to gross national product in the U.S. Residential housing construction has been slowly improving since 2009. 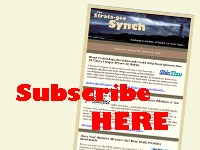 However, economists have some concern over a recent decline over the last 90-days,. Beyond this 90-day softening in construction activity, other data from the report from the Commerce Department suggests the softness may continue for some time. Building permits, an indicator of future construction activity, also declined and may portend further economic slowdown. The data shows that the issuance of building permits in September declined 4.5% below the August rate, and 4.3% below the September 2016 rate. Permits for the construction of multi-family homes dropped 16.1%. 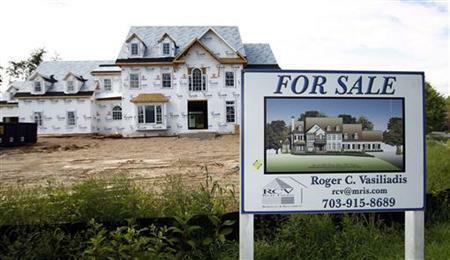 Most economists expect housing to rebound in the fourth quarter. However, a full rebound in the housing market is hampered by a shortage of labor and land. Residential construction has been in a slow rebound since bottoming out in 2009, but many workers left the construction business during the multi-year slide in construction activity after the construction boom ended in 2006. Many of those jobs never came back. So even now, while rebuilding after hurricanes – and wildfires in California – can drive construction activity, most likely this will pull workers from other parts of the country resulting in stunted growth there, offsetting the gains in the rebuilding regions.